Long before Andy Warhol dreamed of being an art-making machine and more or less managed it with his silkscreens on canvas, Antwerp’s Pierre Paul Rubens (1577-1640), a legend in a different art genre, designed his own great machine for pumping out paintings. 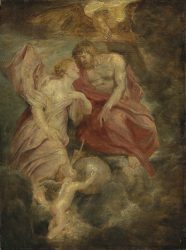 On 6th and 7th July Sotheby’s and Christie’s will be auctioning no fewer than five paintings carrying the Rubens name. 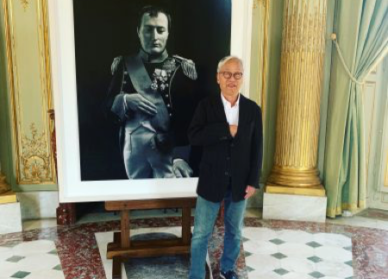 Some are definitively considered to be the work of the master while others were produced by his studio. The difference in estimates between the lots is colossal – from £30,000 to £20 million – and is based not just on aesthetic merit but also the circumstances in which they were executed. There are Rubens paintings by the artist we know as such, and then there are those Rubens paintings produced by his assistants. He left behind a copious correspondence which was translated into French by Paul Colin. Indeed his letters are all requests relating to money issues. Rubens, a man of many talents, also worked as a diplomat and an art dealer. It is the Rubenianum, an institute located behind the Rubens house, which is nowadays responsible for authenticating the artist’s prolific output. The guess-work involved in attributions at the beginning of the 20th century’ has no currency today, adds Georges de Jonckheere, also a dealer and a specialist in Flemish art based in Paris and Geneva. The most eagerly anticipated Rubens of the season, a masterpiece which has absolutely no question marks hanging over it, is a large-format painting (190x225cm) estimated at £20 million. ‘Lot and his Daughters’ shows the biblical character inebriated and being seduced by his daughters who want to perpetuate their family lineage after fleeing Sodom. 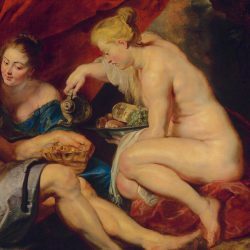 It is a particularly fine example of Rubens’ virtuosity for depicting naked bodies. The psychology of the characters is also expressed with great finesse. Paul Raison, Head of the Old Master pictures department at Christie’s in London points out that the work has a very powerful visual intensity, a feature that should work strong in its favour: ‘There is a direct line between the representation of naked bodies in Rubens and the work of Lucian Freud and Francis Bacon,’ adds the expert. 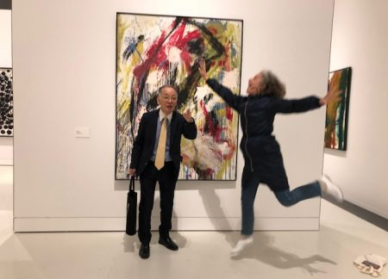 ‘You could certainly imagine a modern or contemporary art collector being interested in the painting.’It is a significant work yet almost unknown. It belonged to the Duke of Marlborough, an ancestor of Winston Churchill’s, before being incorporated into the Hirsch family collection from where it has passed down by descent. 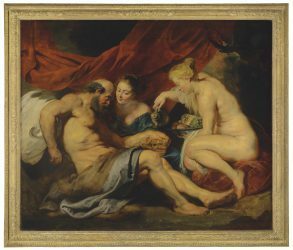 Equally in the Christie’s auction is ‘Venus Supplicating Jupiter’, a study on panels by Rubens estimated at £1.2 million. Sotheby’s will be presenting ‘Diana and Her Nymphs Hunting’, a canvas measuring 3.8 metres across but executed by his studio. It is estimated to fetch £30,000 and has a prestigious background: it was commissioned by King Phillip IV of Spain for his hunting lodge. 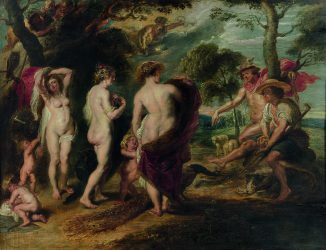 On 10 June at Hotel Drouot, the Ferri auction house sold the oil on panel ‘The Judgement of Paris’ for 1.9 million euros (estimate 6,000 euros), a work attributed to Rubens’ studio by the expert Eric Turquin. Similarly in 2013 Sotheby’s sold for $626,500 (estimate $20,000) a portrait of a young woman, Clara Serena, the painter’s daughter, which belonged to the Metropolitan Museum of New York. At the time the work was considered merely a copy produced during the epoch in which the artist lived. Subsequently it was reattributed to Rubens and shown at the Rubenshuis in Antwerp in 2015. 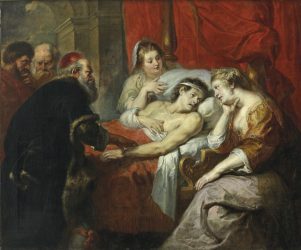 ‘He’s an artist whose body of work still has grey zones,’ confirms the Parisian private dealer Etienne Bréton, who notes that a canvas from the Rubens studio is traded for on average between 20,000 and 50,000 euros while a beautiful canvas by the artist himself (with the exception of his studies on panel) sells for between 20 and 50 million euros. 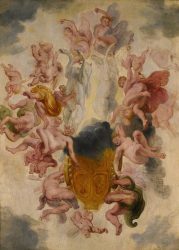 There is another element working in favour of the Rubens and other old masters hitting the auction block in London at the beginning of July. Brexit has resulted in a sharp fall in sterling. 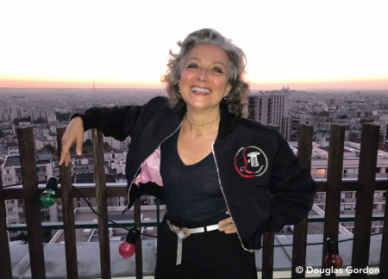 Knowing that sale estimates are indexed in the local currency, buyers with euros, dollars or HK could find they have an excellent investment opportunity. Let’s remember that Rubens still holds the record price for an old master sold at auction. In 2002 ‘Massacre of the Innocents’ went for the equivalent of 77.1 million euros. The work according to Paul Raison nowadays belongs to the National Gallery of Ontario in Toronto.